The elusive social media question – when is the best time to post? One answer: Post when your audience is most active on the social media platforms you use. On Facebook, there’s a free and easy way to discover when your fans are online. 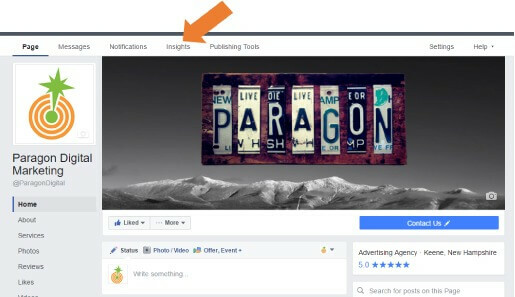 Here’s how — using Paragon Digital Marketing’s social media platforms to walk you through the process (Please note: You have to be a page administrator to access this data). On the Facebook Page you’re interested in analyzing, select the “Insights” Tab in the top white banner menu. Next, on the left-hand side menu, select the “Posts” option. The graph above shows how active Paragon Digital Marketing fans are throughout the day. If you hover over the bar graph (in Facebook), you can see how fan activity changes daily. Looks like, for Paragon, posting at 9 p.m. gets the most eyes on a post. While it’s helpful to know when your fans are online, it’s essential to know when fans are most engaged with your posts (reacting to, commenting on and sharing what’s posted). 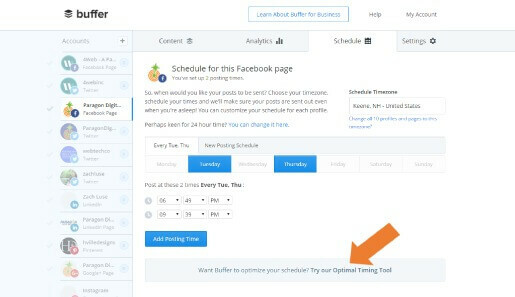 So, to find out when your audience is most engaged, you can turn to Buffer — an online tool that helps manage different social media accounts. 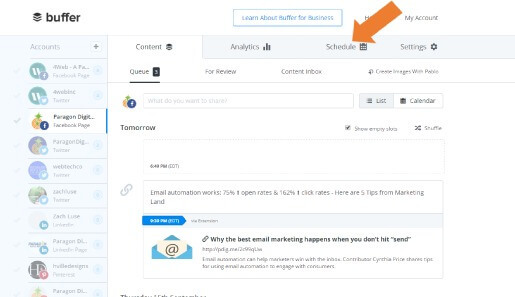 In Buffer, select the “Schedule” tab on the top banner menu. Then, click the “Try our Optimal Timing Tool” link. 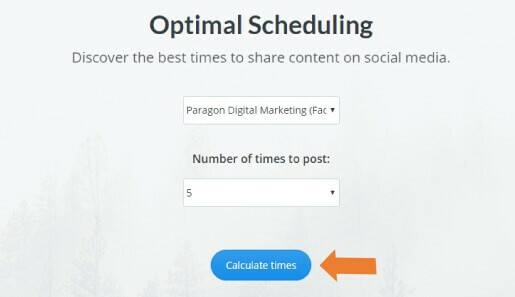 After selecting your page in the drop down menu, click the “Calculate times” button. Viola, the graph shows the times when your audience is most engaged. According to Buffer, Paragon’s Facebook fans are most engaged with our posts at 9:40 p.m. — close to when most of our fans are online. 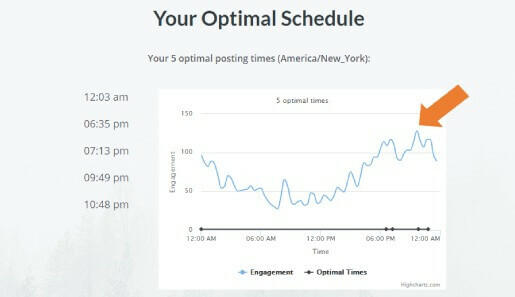 You can view this optimal post scheduling graph for any social media account connected to your Buffer account, whether Facebook, Twitter or LinkedIn. Not a Buffer user? You can use it for free and connect one account from each social media platform.